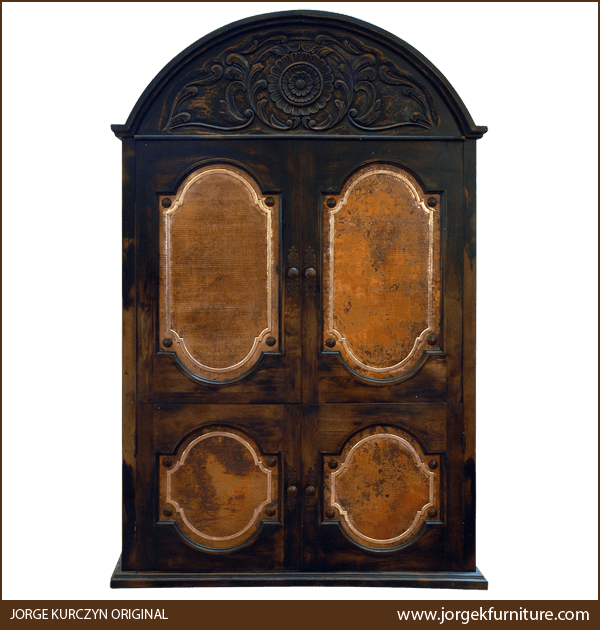 This exquisite, handcrafted, Spanish colonial style armoire blends beauty with practical functionality. 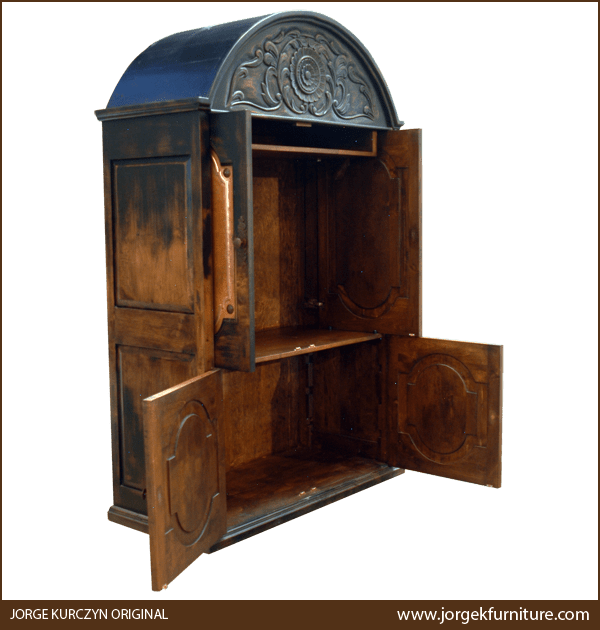 The front of the armoire features four, large, rectangular doors, and inside the doors is ample space that can be customized for your personal needs. Each door is adorned with a marvelous, hand hammered, copper panel. The copper panels have a gorgeous patina, and the inside border of each panel is hand tooled with a brilliant luster. The larger, upper doors each have a copper panel with an arched, geometric design. Below the top doors are two, smaller doors, each adorned with a hand hammered, copper panel in a geometric design. Each copper panel has a hand forged, iron concho in each corner, and every door has a hand forged, iron, pull handle on its side. Above the doors is a magnificent, semi-circular top, and centered in the top is a gorgeous, hand carved, floral design, surrounded by hand carved, floral and scrolled designs. 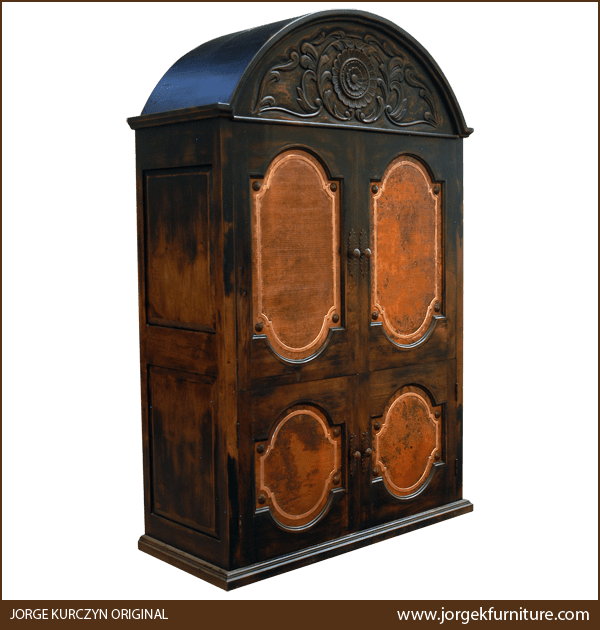 The armoire has a dark, antique finish, and it rest on a solid wood, molding base. It is made with the best, sustainable, solid wood available, and it is 100% customizable.